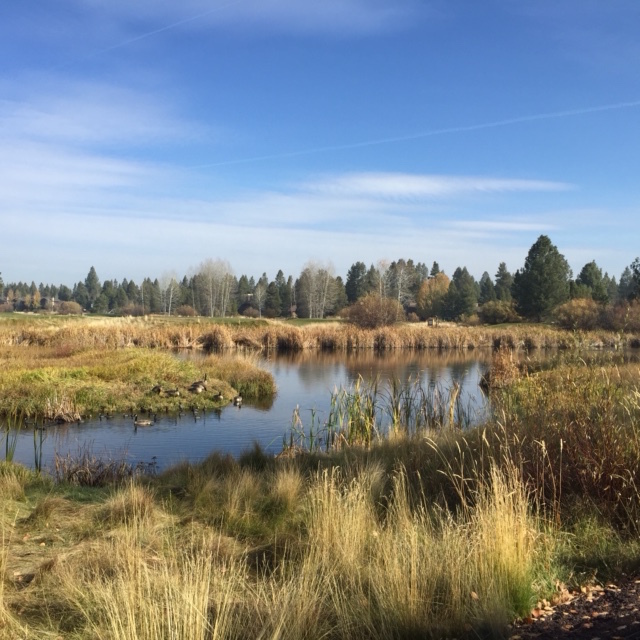 This past week, we enjoyed a week at Sunriver, Oregon, thanks to my aunt. When she invited us, we joyfully accepted and spent a very relaxing week with her and my mom. We took many walks, fished, swam, rode bikes and visited a quilt shop nearby. I took several projects along with me that had been sitting around the house for far too long, and got quite a bit done on them. The weather was beautiful and we saw a lot of wildlife, such as these geese in the picture I took. Beautiful photo! I’d like to head that direction again sometime.